Immaculate Power Sweeping, LLC is a family owned and operated business established in 1992. 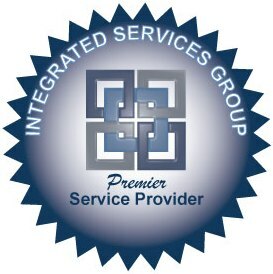 We have created an award winning reputation for service and satisfaction for sweeping services and property maintenance. Our friendly, knowledgeable staff is ready to help you develop a sweeping program that suits your needs and budget. Our company was created to alleviate your property maintenance headaches…not give them. We want to be your contractor. Once you hire us, you’ll see why our professionalism, integrity and unparalleled standards for excellence have made Immaculate Power Sweeping, LLC one of the Nations TOP 100 SWEEPING COMPANIES in the US. Since 2003 Immaculate Power Sweeping, LLC has been named in the TOP 100 CONTRACTORS feature of Pavement Magazine. 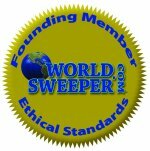 Immaculate Power Sweeping, LLC was recognized as one of the largest and best sweeping contractors in the nation. This accomplishment shows our excellence and strength at a national level. By having the regions most extensive, efficient and modern fleet of sweepers combined with XORA time track GPS database system and expertly trained employees, Immaculate Power Sweeping, LLC offers an EPA-comprehensive maintenance program to keep you swept clean. Our fleet of Schwarze Industries, Inc. S-Series (348-LE) sweepers are Rule 1186 Certified and PM 10 compliant and feature Schwarze Industries WhisperWheel fan technology that reduces sound output by more than 50%. Additionally, we can schedule a nightly, weekly, monthly or quarterly sweeping that best addresses your on-going maintenance needs. So, whether it’s for a rushed, on-the-spot request or an on-going need to establish a regularly scheduled sweep, call Immaculate Power Sweeping, LLC to get the job done right. We also offer a wide range of other services such as Dumped Item Removal, Handyman Maintenance and Traffic Sign Installation just to name a few.